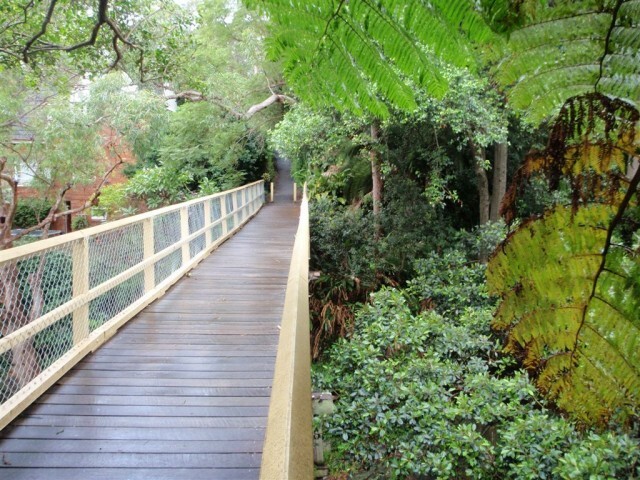 After days of heavy rain, the clouds parted and the Spit Bridge lowered to make way for the inaugural Walk of the Month. 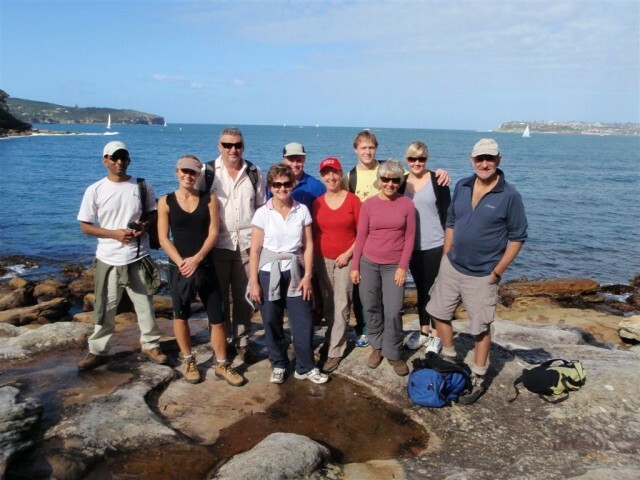 Eleven people, some with very little experience of walking in the bush, set off to walk to Manly. With Mike from the National Parks Association of NSW, as our trusty guide, we made our way around the harbour foreshore. 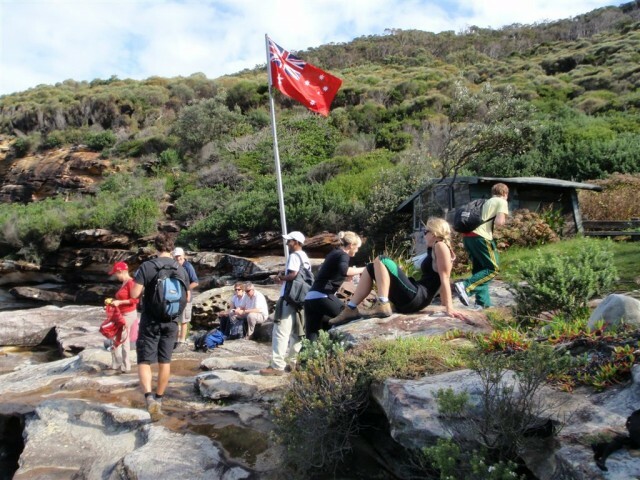 We were led under sandstone overhangs, past waterfalls and visited some grand lookouts. 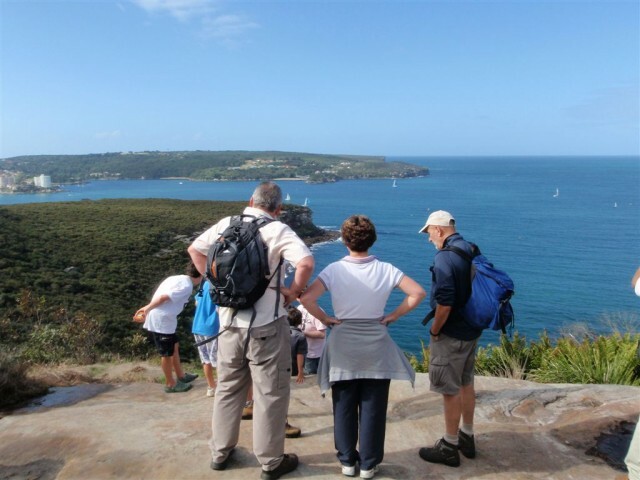 The views along the walk varied greatly from harbour views of Sydney, to fascinating and ancient engravings by the traditional owners of the land. Our leader also helped us to discover the cottages in Crater Cove. These homes where built during the depression from scavenged and natural materials. Crater Cove made a wonderful spot for a bite to eat whilst exploring this interesting piece of Sydney history. Along much of the walk you could hear the quiet chatter of walkers in the group getting to know each other. There is something about walking in natural settings that helps people get to know one another, and share stories. Once in Manly, most of the group hung around to enjoy a meal and ice cream whilst talking about favourite parts of the walk. It was obvious that all enjoyed the day and we came up with some ideas to make future Walks of the Month just that bit better. If this sounds like fun for you then learn more about the Walk of the Month.